DESPITE the acrimony and huge costs that followed the abortive deal with Cameroonian forward Christian Joe Epoupa, Dynamos have not lost their love for the West African country. The Glamour Boys, who are on a serious rebuilding exercise, are looking to welcome three players from West Africa, including two Cameroonians. The trio of Vincent Mbega Herve, Theodore Landry Tsala and Claude Ngahan Junior are heading to Zimbabwe for trials. The players have since secured visas and are expected to join the Glamour Boys in their pre-season training next week hoping to impress coach, Lloyd Chigowe. Mbega was a member of the Cameroon Under-20 World Cup team in Colombia in 2011 and the midfielder made two appearances at the tournament. During that time, the 25-year old played for Mallorca II in the Spanish Segunda B, which is the country’s third-tier league, between 2010 and 2013. However, there is a lot of missing information since then as he had been club-less for the last five years. There isn’t a lot of information available for Tsala and Ngahan. DeMbare have already signed Congolese forward Ngandu Mangala and have also short-listed Ghanaian midfielder Robert Saki after he impressed last week. Chigowe, who has been working with a big pool of players on trial, has trimmed the number and is looking to finalise on his squad in the coming days. “We have reduced the numbers, we are left with most of our juniors and a few players fighting to fill the remaining slots. “We can safely say that we are nearly done. I think we will finalise when we play our preparatory match on Saturday (tomorrow) but we have a rough idea of where we are going. “We are expecting one other striker from Cameroon and the other from Ivory Coast and even if they arrive, it will be a bonus. Otherwise, I think we are comfortable with what we have. “Last week we had two Ghanaians. One of them is here and the other one I think is now training at CAPS United. We will retain the midfielder, we are impressed with his qualities. “We are going to propose to the executive that we have a training camp probably in Zambia or in Malawi but it’s all subject to the budget allowing. “Otherwise if it can’t be done we will find somewhere to camp locally and make sure that we bond away from the glare of the public,” said Chigowe. 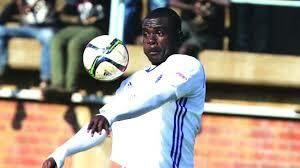 The coach has named veteran Edward Sadomba as his captain. Meanwhile, DeMbare have announced the appointments of public relations executive Tinashe Farawo and business executive Moses Shumba to key positions in the management team led by banker Isiah Mupfurutsa. Farawo was named the club’s marketing, public relations and liaison officer while Shumba was elevated from being committee member to vice- chairman. He replaces Esther Mawere who has been relieved of her duties in the Dynamos management.